Do you know what common mistake people make with their passports? A passport is the most valuable travel documents a person can have, taking care of this document is crucial for its safety and care. Avoiding these common mistakes are key to ensure the proper care for your passport at home or abroad. We’ve seen them all, so check our list of these common mistakes and we hope to help many of you avoid them. When traveling abroad it’s best practice to make photocopies, scanned copies and/or take photos of your passport. Keep physical copies with you when you travel and send scanned copies or photos to your phone, email, or any other device you may travel with frequently. 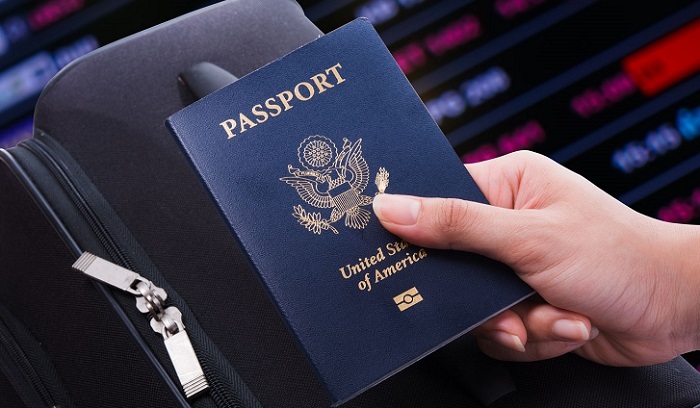 This extra step will help you if your passport is ever stolen or lost overseas, since bringing copies of your passport can help you acquire an emergency passport a bit easier at the US embassy or consulate. It also helps to present copies instead of the physical passport in the country you’re staying in to avoid carrying throughout the city or town you’re visiting. Remember your passport is meant to be presented at airports, sea ports and border crossings, you’re not required to show it otherwise or leave it with the hotel if you’re not comfortable. Even you’re not traveling and misplaced your passport at home, you can you use your passport copies to retrieve helpful information, like your passport number, to apply for a lost or stolen passport service. Cursive really is magical since your passport is not valid until you put your signature on it. Showing up with an unsigned passport to the airport can be problematic in some instances. Also when applying for a visa, sending in an unsigned passport can cause delays and cost more in shipping to rectify the issue of an unsigned passport. So remember to sign your passport as soon as you receive it. Make you sure you sign your passport with black or blue ink. Sign your full name listed on the passport. Children under the age of 16 may sign their own passports if they’re able to, but if not, one parent may sign for them. Keeping your passport in your back pocket or loosely in your bag or purse when traveling abroad can lead hands to swipe your precious travel document when you’re least expecting it. Make sure you secure you passport when traveling either in the hotel safe or locked away in your luggage. Keep in mind accidents can account for a damage passport so consider storing your passport in a waterproof bag if you’re visiting a place with wet conditions. Your newborn needs a passport to travel. You need to apply for a child passport and both parents must be present with child to apply at a Passport Acceptance Clerk. If one parent cannot be present, you must get a notarized Statement of Consent signed by the absent parent. 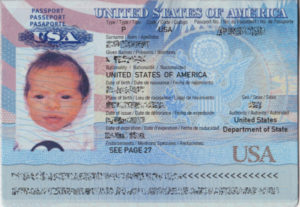 The baby’s original or certified copy of the birth certificate, social security number to apply for the passport. You’ll need to get these and with child, seal these documents at a passport acceptance clerk to apply for child’s passport. Speaking of Child passports, children under the age of 16 are only valid for a 5-year passport, unlike the adult passport which are valid for 10. You also cannot renew a child passport, so you’ll have to apply as a new one all over again. You may use your child’s passport as proof of citizenship but their documents will need to be sealed by a passport acceptance clerk. The rule of thumb is to make sure you have at least 6 months of validity before traveling. Some countries might require 3, but 6 is the general rule. It’s best to call you airliner and find out before you book your trip to see how much validity you might need. Another great tool is the State Department’s Website to find helpful information for American’s traveling to different destinations. If you need to apply for a visa, the application process will usually let you know how many months you will need minimum to apply. If you discover less than 6 months validity and you have no travel plans, you can renew leisurely using the Passport agency’s service by mail, which can take 4 to 6 weeks (6 to 8 weeks during the busy season). However, if you booked a trip and need it fast you can expedite your passport application using a 3rd party expeditor, which can help you get your passport in as little as 24 hours if needed. You won’t even make it on the plane without a visa to some countries, but let’s say you slip through the cracks, and make it to the country you desire to travel to, you might not make it out of the airport sans said visa. Just like checking the validity of your passport, make sure you check for visa requirements. Mistakes happen, I know in this business I’ve heard of a couple people who went through the through the normal processing to obtain a passport and once they got it, their name was misspelled. Not a good thing if you didn’t notice, book a flight and arrive to the airport with ticket that doesn’t reflect the same name on your passport. While you can rectify this error by filling out a DS-5504 to correct the mistake, if you’re pressed for time it will take another standard processing time of 4-6 weeks. So many times I have heard stories that an airport official wouldn’t let someone travel due to their passport being damaged. Even the slightest damaged can cause an agent to deny a person to travel. Make sure you keep your passport in good condition! Planning your next trip? Use these tips mentioned above to ensure your travel documents are up date and ensure that all the headaches and stress are removed from the process. Need a passport in a hurry? Check out Expedited Passports and Visas for fast processing times from 24 hours to 15 business days.